International Holocaust Remembrance Day: The Man Who Tried to Stop the Holocaust – Jan Karski, “Righteous Among the Nations”. We cordially invite you to a conference at Ghetto Fighters’ House Museum in honor of Jan Karski. The evening is dedicated to the extraordinary story of Jan Karski, a righteous among the nations, who tried to stop the Holocaust. 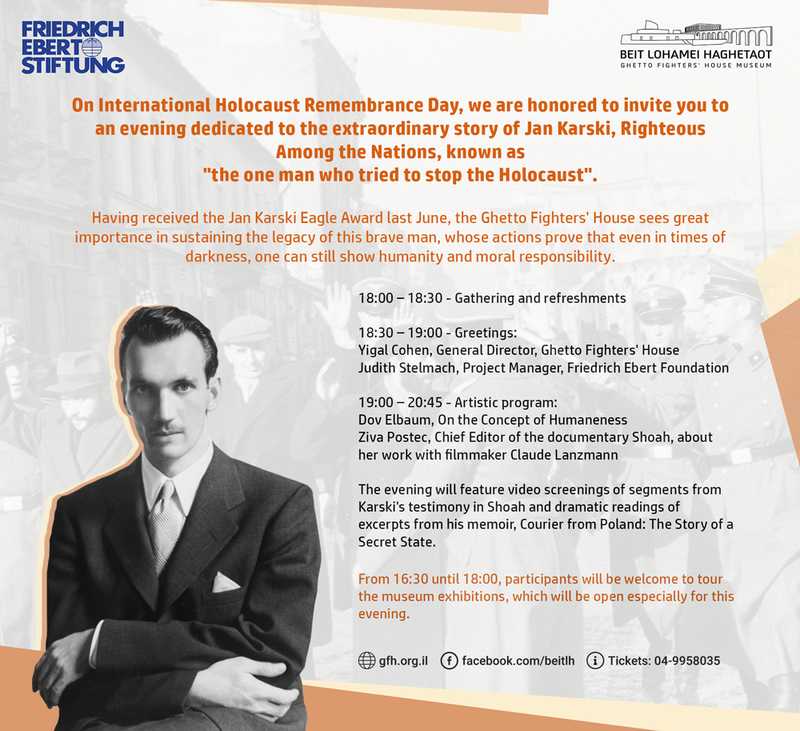 The event takes place in cooperation between the Friedrich-Ebert-Stiftung Israel and the Ghetto Fighters’ House Museum. From 4.30 pm to 6.00 pm you can visit the museum’s exhibitions, which will be open to evening guests on that day.